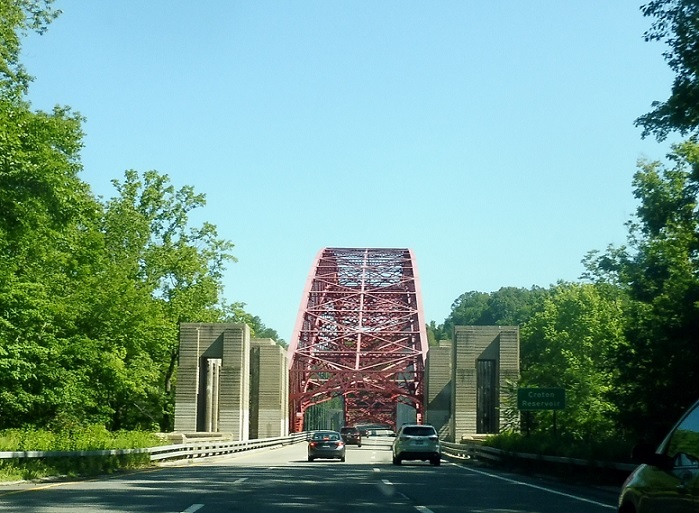 Shortly after NY 134, we’ll cross over the Croton Reservoir on this great truss bridge. 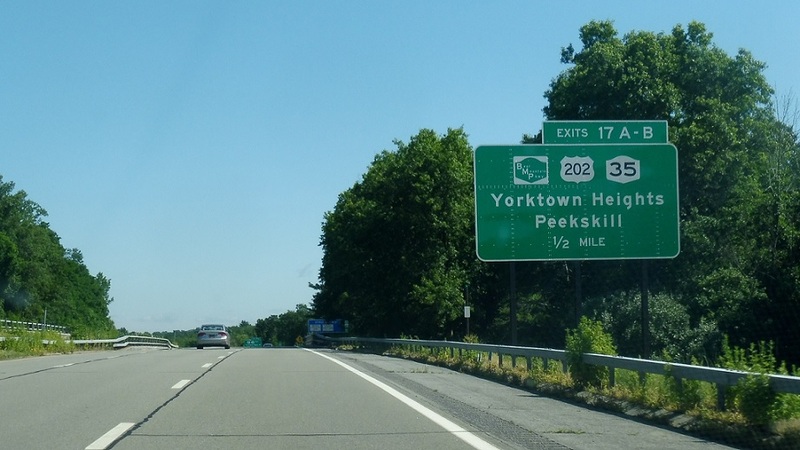 A couple miles later, we’ll approach US 202 and NY 35, with a ramp to the Bear Mountain Parkway just past it. 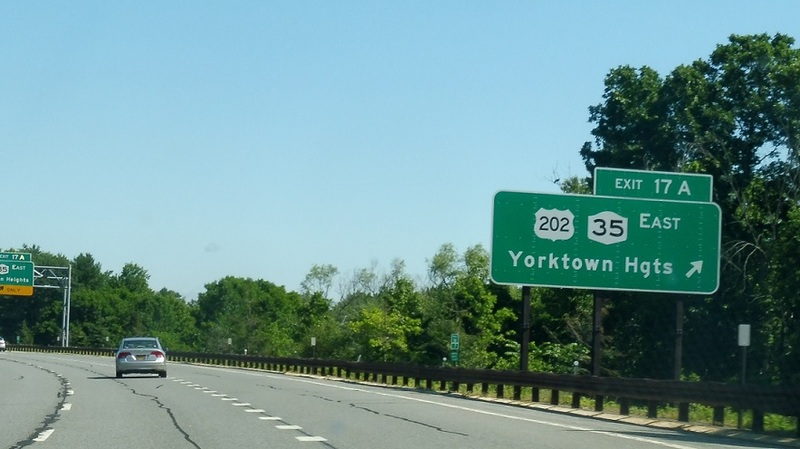 Exit for US-202/Route 35 east towards Yorktown Heights. Exit for 202 north/35 east. 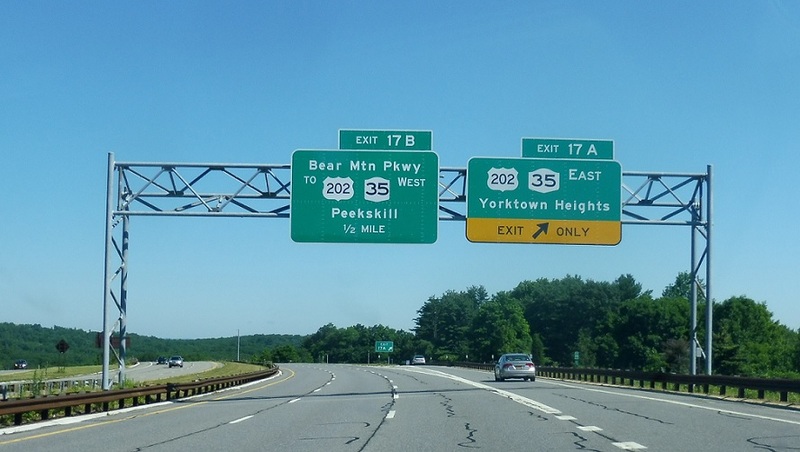 The south/westbound route is best accessed via the Bear Mountain Parkway, which is coming right up.